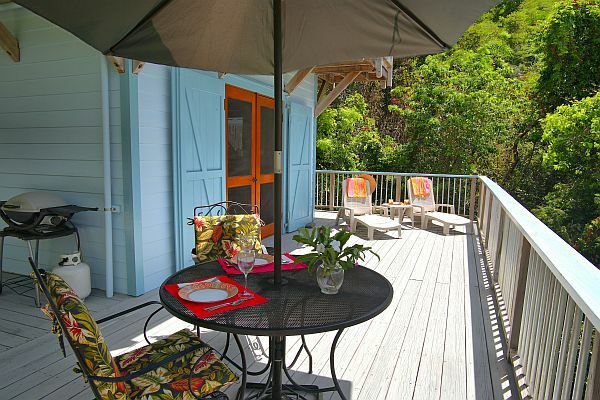 Just Enough in Coral Bay, St. John, Virgin Islands offers this Charming, one bedroom and one bath, Cottage for short term vacation rental. 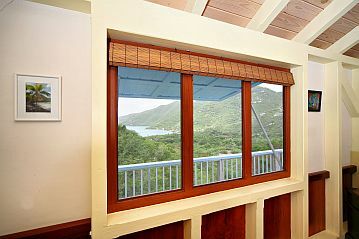 Enjoy views of the Coral Bay harbor from this beautiful accommodation. 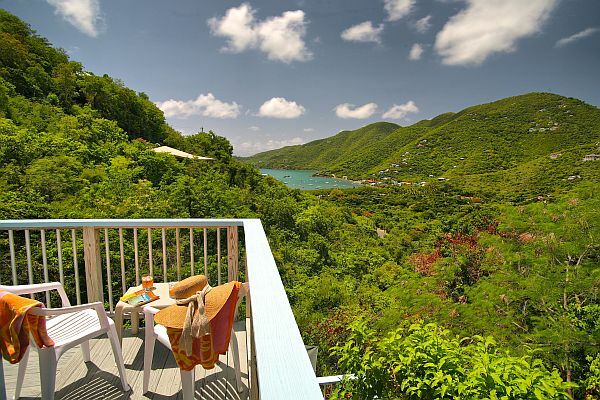 Experience St. John’s natural beauty from this perfect setting. 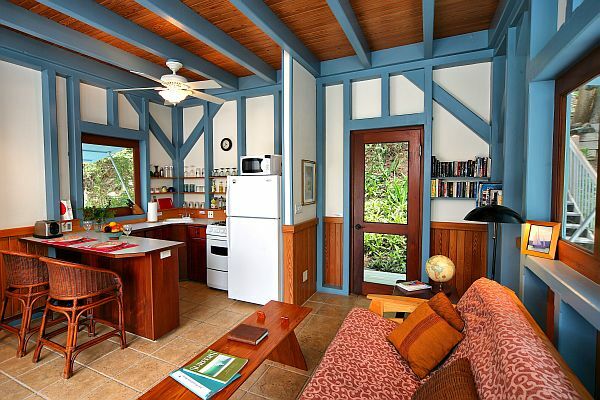 Just Enough is a beautiful home to call your own for a week or more. 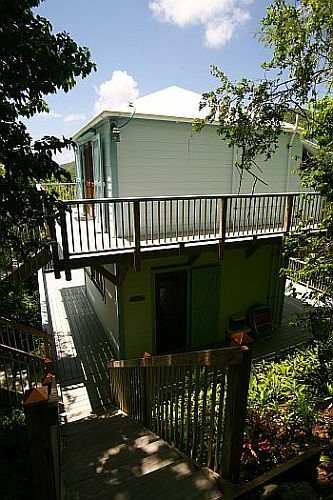 With a fully equipped kitchen, king size bed, and spacious wrap around decks upstairs and down (hammock included! 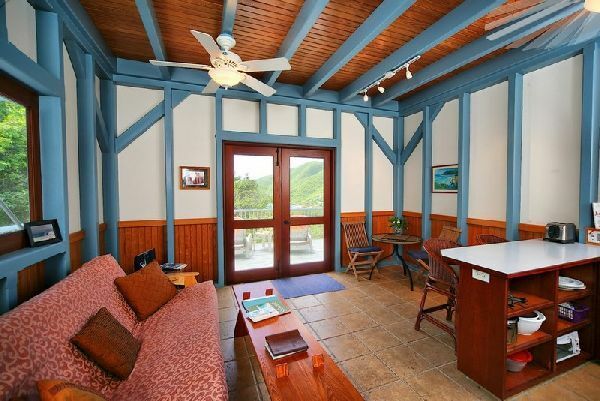 ), Just Enough provides an ideal base for exploring the island of St. John. 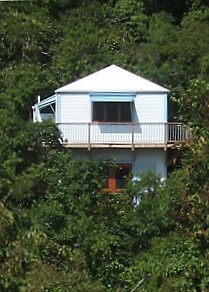 For larger parties (up to four people), Just Enough can be rented in connection with New Moon. 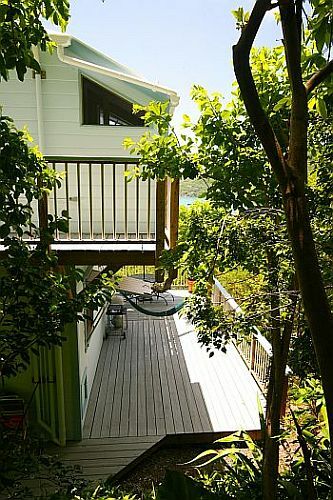 Tucked into the trees, the downstairs deck provides excellent tropical hummingbird and bannanquit viewing, while enjoying your morning coffee at the outdoor table, or swinging in the hammock. 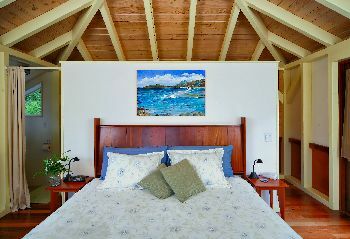 The spacious wrap around decks on both floors make taking in the views of Coral Bay and Bordeaux Mountain a delight, and invite stargazing at night. 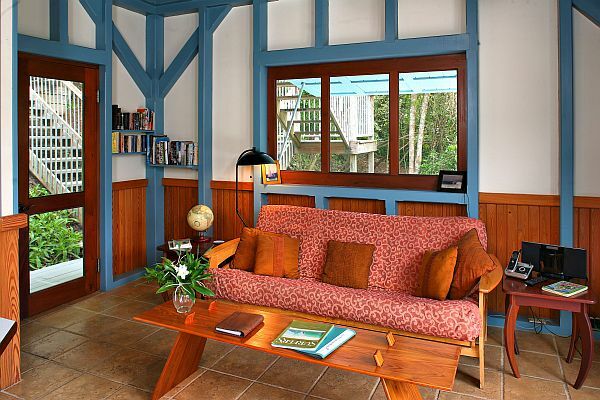 This unique post and beam house is furnished with handcrafted tables, all built by the talented owner, a St. John cabinetmaker. 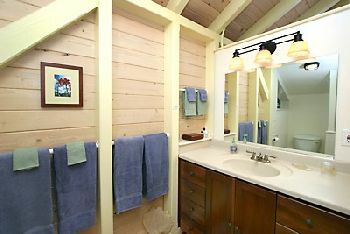 Handcrafted hardwood red locust cabinets accent the fully equipped kitchen. 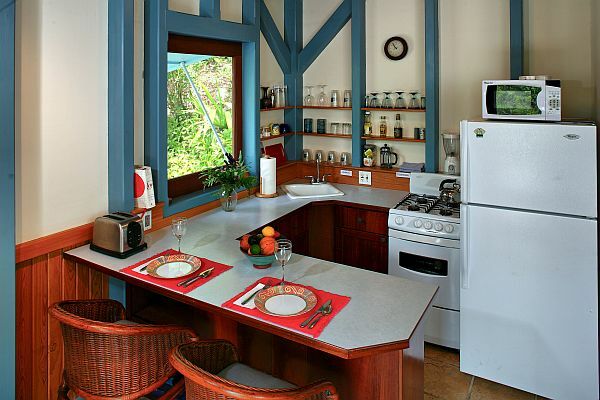 A countertop bar provides an intimate setting for meals or just the perfect space for just hanging out. 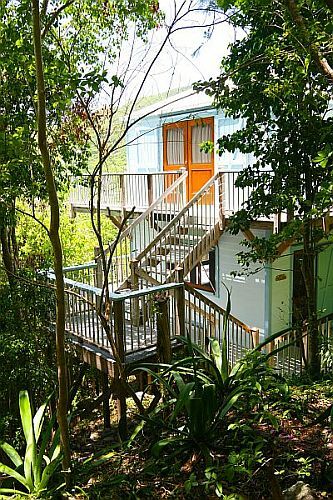 Upstairs, enjoy panoramic views from the wrap-around deck and king size bed. 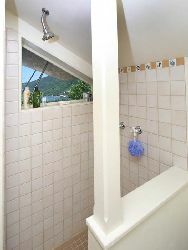 Adjoining the bedroom are a walk-in closet and large bathroom..
* 1st Floor: Fully equipped kitchen with breakfast bar, living room, indoor dining area. 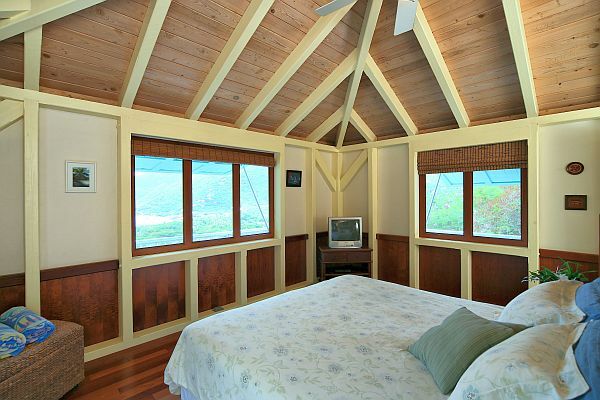 * 2nd Floor: Master bedroom with king size bed, walk-in closet, bathroom. 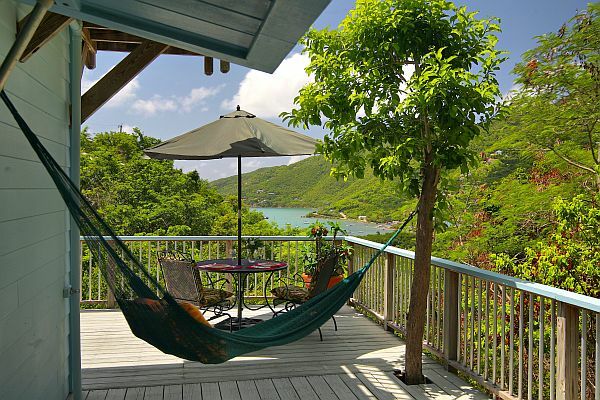 to enjoy all that Coral Bay St John has to offer.